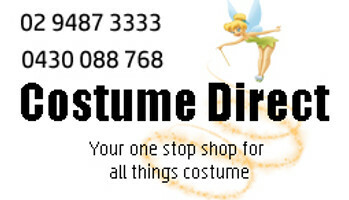 Costume Direct has the best Star Wars, Jedi and Cosplay costumes shipped fast Australia wide! May the force be with you...Far, far away, in a galaxy where the evil Siths pose a threat to the wholesome Jedis, a worldwide pop culture phenomenon was born as the Star Wars franchise! From Darth Vader costumes to Boba Fett costume, Chewbacca star wars costume to Hans Solo, go galactical in your very own Star Wars costume Sydney. For 1980s parties or movie-themed fancy dress to sci-fi conventions, let the force guide you to our impressive range of Star Wars costumes and star wars costumes accessories.We stock authentic Star Wars costumes for boys, Star wars costumes for girls, Star Wars costumes for adults, Starwars fancy dress for men, women and kids!